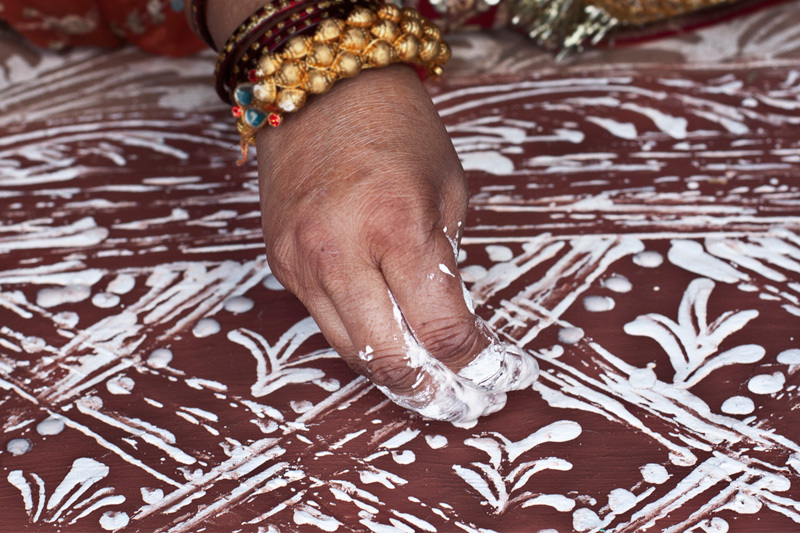 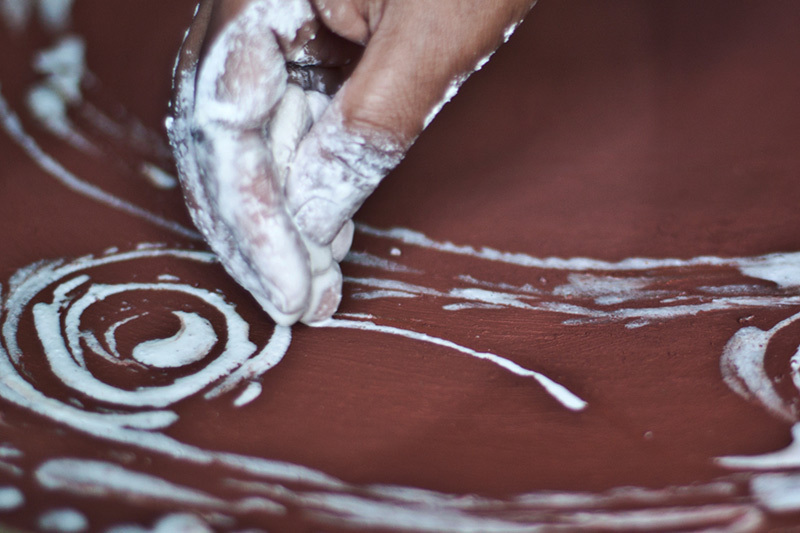 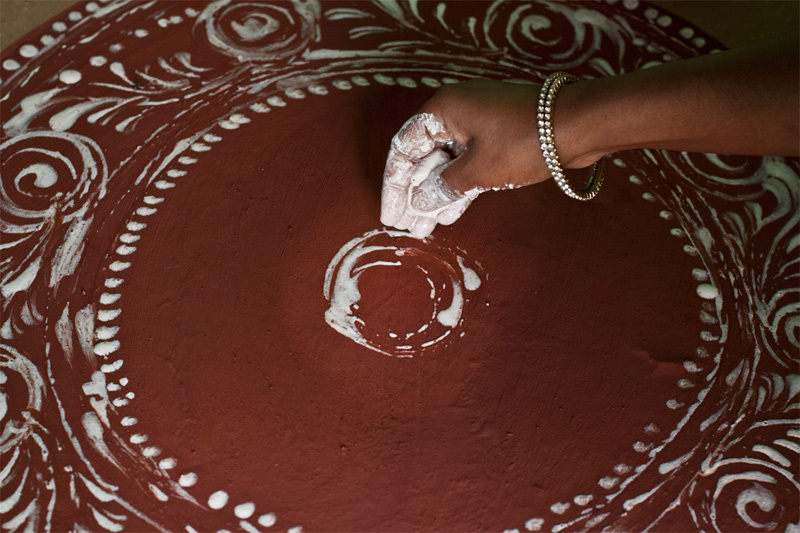 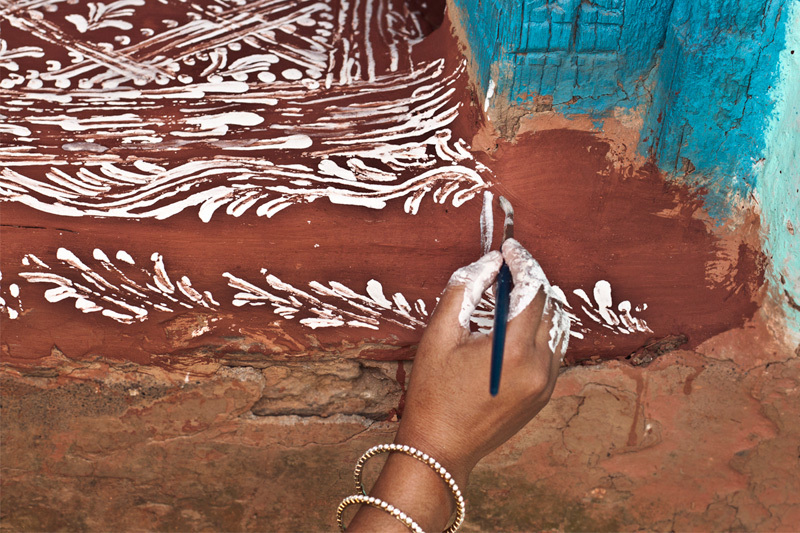 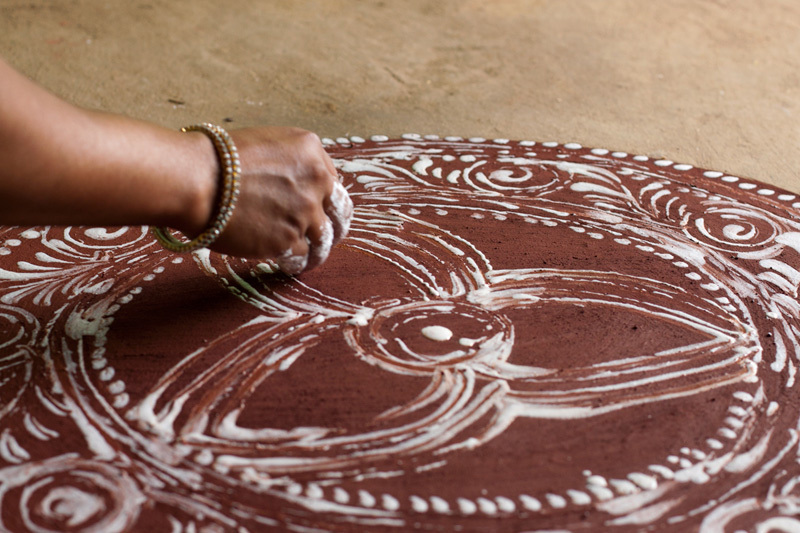 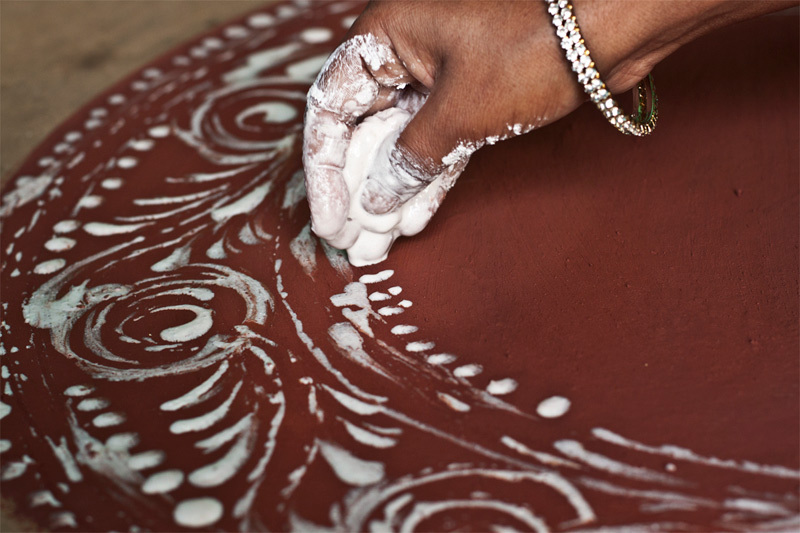 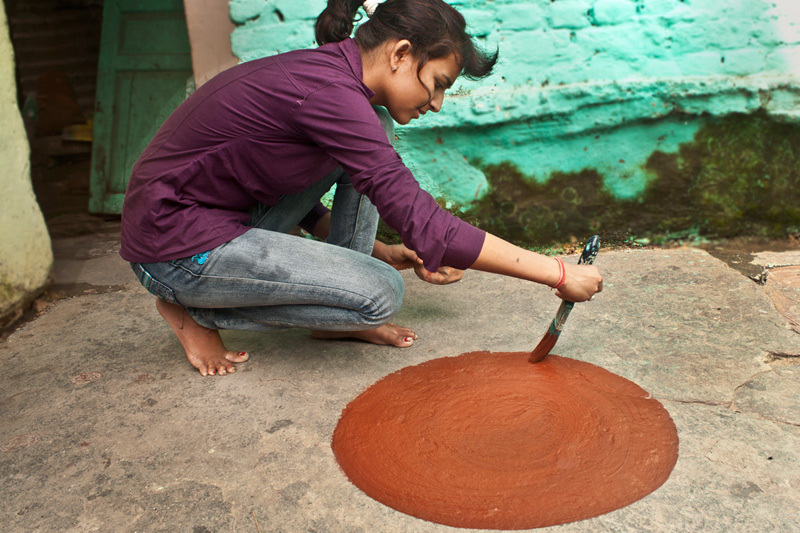 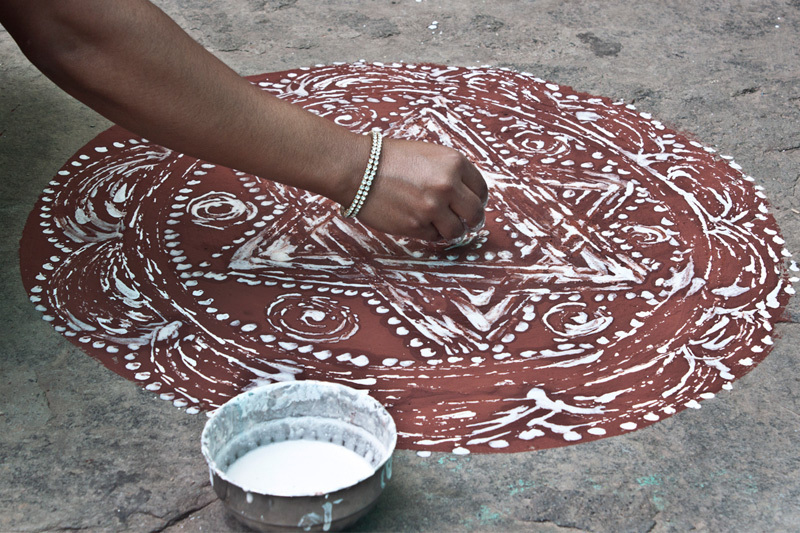 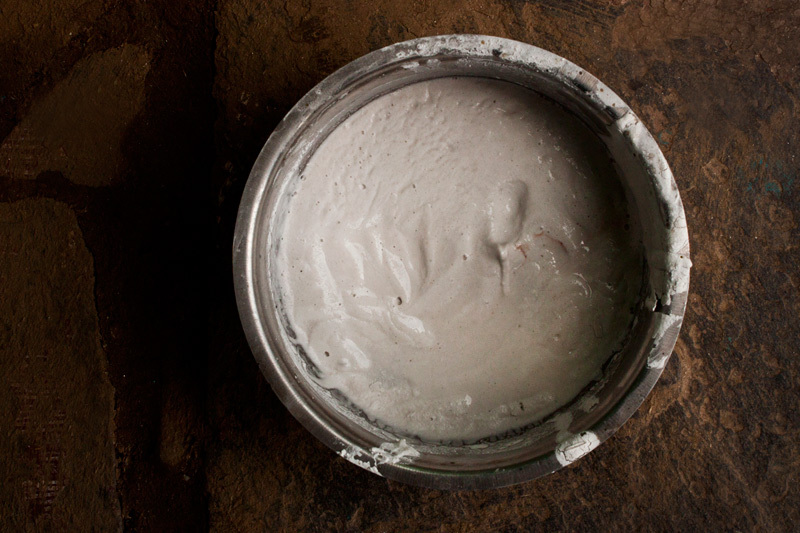 Aipan ritual art is made on floor and walls by drip drawn method. 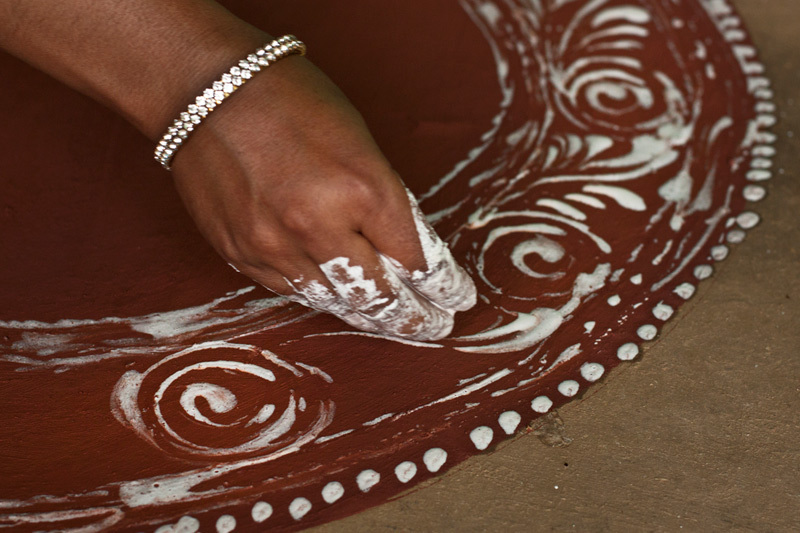 The aipan is traditionally drawn for ceremonies of birth, marriage, and many other festivals throughout the year. 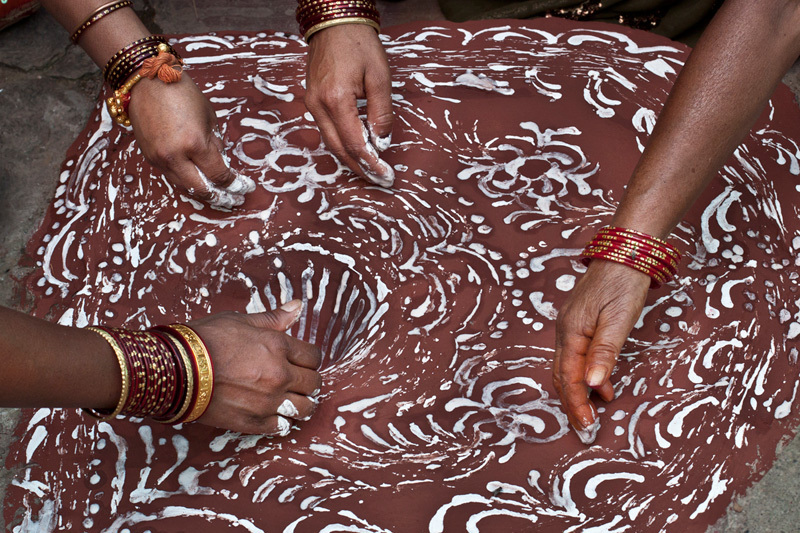 The painting patterns differ for each ceremony accordingly.